Goodreads: When Charlotte Sawyer is unable to contact her step-sister, Jocelyn, to tell her that one her closest friends was found dead, she discovers that Jocelyn has vanished. Kritters Thoughts: What a mystery! I loved the mix of elements from the past and things happening in current day and the two things coming together to create this major mystery. Charlotte and Jocelyn are step sisters and they are all each other have after their parents died, but secrets come out that make them realize that maybe they weren't leaning on each other as much as they should have. I loved the ins and outs and ups and downs of this book. Just as I thought that I knew where it was headed the book took a 180 turn and each time I loved it! Sometimes I don't love books that take a lot of turns, but I enjoyed the windy curvy road of this one! This was a perfect book to read in the middle of the crazy holidays because it was so hard to put it down! I loved that each time the book took a turn I couldn't put it down because I wanted to try to predict the next turn. 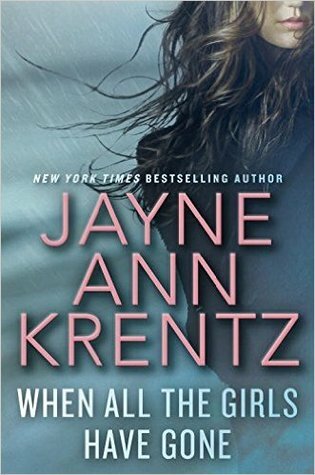 This is only my second Jayne Ann Krentz book, have you read any of hers? Where should I go next?